The music of HuDost weaves a seamless tapestry of Folk, World, and Rock that renders tears and laughter in listeners, cultivating the nameless longing that abides somewhere in all our hearts and invoking total celebration. HuDost’s core musicians are Moksha Sommer, from Montréal, and Jemal Wade Hines from Kentucky. Having toured the U.S., Canada, and Europe constantly since April 2006, HuDost has grown and expanded, traveled rocky and glorious terrain and marveled at all they can learn and explore. Moksha and Jemal Wade in this time have grown as artists, as seekers, as a couple and as a family. Since 2015 they have also been highly engaged activists, doing advocacy work as KY Congressional District Representatives for ONE (a non-profit organization working to end extreme poverty and, specifically, the sexism of poverty). 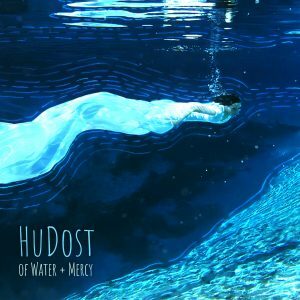 HuDost is currently in the studio finishing a new album, Of Water + Mercy, with Vance Powell who is a top-tier producer/mixer who’s worked with artists such as Jack White (White Stripes), Chris Stapleton, Pearl Jam, Willie Nelson, Buddy Guy, Beyonce, Beck, Alicia Keys, Melissa Etheridge, Kings of Leon and a slew of others. Dan Haseltine from the GRAMMY Award-winning band Jars of Clay has been on board to help with production and all of the Jars of Clay members play on the album. 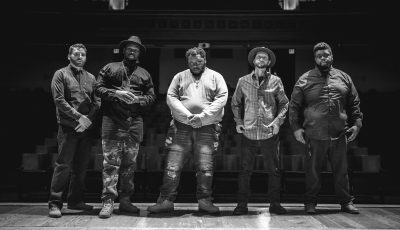 The new album will be released in April 2019. “Rise Together,” a powerful call to unity, marked the lead single from Of Water + Mercy (recorded at Nashville’s Gray Matters Studio) and instantly found support from Spotify being added to official playlists. 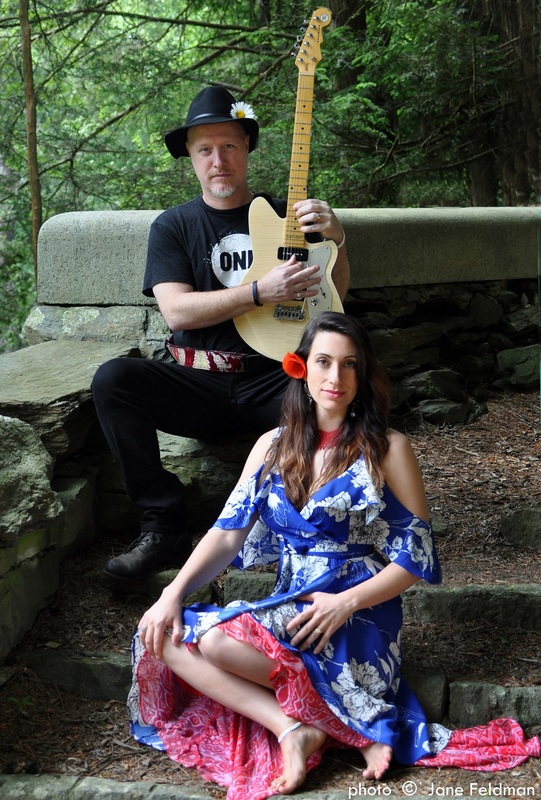 HuDost’s music is a powerful expression of life’s journey and discovery. In 2008, Moksha went through a painful process of brain surgery due to a tumor. The healing from this included re-learning language skills, losing and regaining proper sight, and experiencing seizures. This could have been staggering but instead served as learning that has fueled a potent desire to bring healing through sound. In 2013 their amazing son, Kaleb, was brought into the world. It is through music that the losses and gains, pains and triumphs, and excruciating beauty of life can be given a voice of empathy to the synonymous lives of all people. Both critics and fans have said time and time again that the music of HuDost is this very expression. 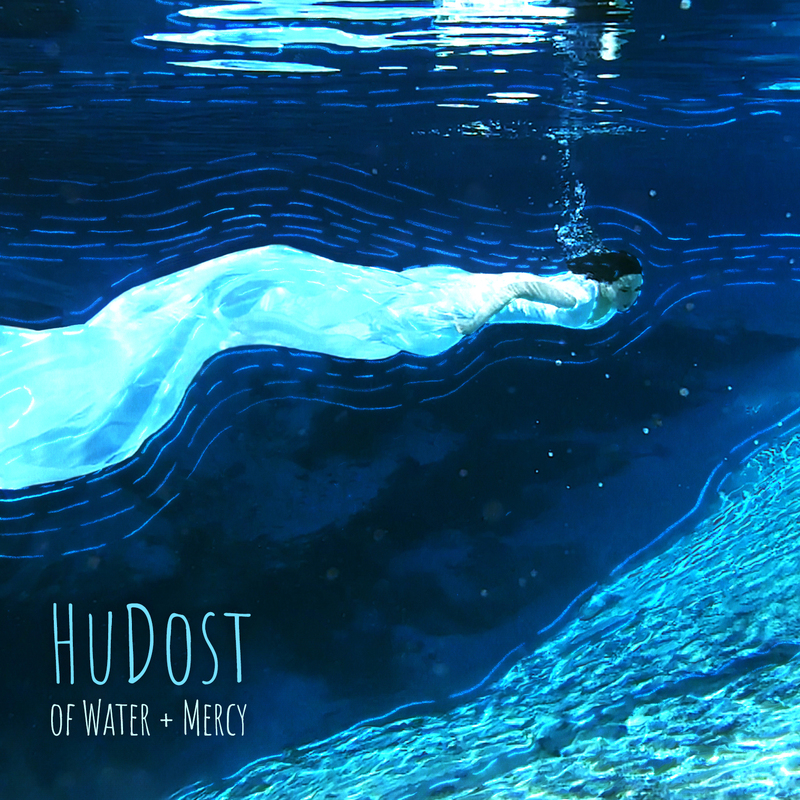 HuDost’s message comes from real experience, real emotion, and real concern for the world – from the birth of a child, to the healing of the body, to the healing of the planet, their words and music echo the human experience. JW: Hello and you’re quite welcome. We’re in super busy catch-up mode today as we just got in last night from lobbying DC for the ONE Summit. Moksha and I are Kentucky congressional reps for the ONE Campaign; a non-partisan organization that helps fight extreme poverty and HIV/AIDS. MS: Yes, we are currently exhausted but happy. We have been doing this for several years and it is part of what inspires and drives us as songwriters. JW: Well, our new album Of Water + Mercy drops on April 5th, so everything is leading up to that. We worked on it a long time and it was finished last year so our main goal is to spread our music further and wider this year! I know it’s cliché to say, but we really feel this is the best thing we’ve done and really love how this record has turned out. MS: Every song on this album has been given a huge amount of thought, care, love, and…dare I say it, sacrifice. This feels like a birth and we want to be one of those obnoxious couples that makes everyone look at unending photos and videos of our incredible baby. All humor aside, this album means a great deal to us. The songs span some major life experiences including the loss of my father and his brother, the birth of our amazing son, our experiences discovering our roles as activists, and more. We simply hope for many people to hear it. I think a lot of people will relate to the heart of the songs. Can you recall the moment when you thought you could be in this band together? Has anything surprised you about this musical journey so far? JW: I’ve been playing in bands since I purchased my first guitar. I saved up money over the course of a couple of summers and bought a Kramer–because of Eddie Van Halen–and instantly started a late ‘80s punk rock band with my high school mates. Music has defined my life, so much so that my childhood is basically remembered year by year according to what albums came out, so I knew very early on what my life’s path was. That being said, Moksha and I met through music. We instantly started creating and performing. It comes through us very naturally and beautifully yet we never take it for granted. In terms of being surprised, I can only say that I am in gratitude and awe that we are still being supported to do this so many years later and that the ideas, inspirations, creativity and beauty still continue to drive us. MS: My musical history is completely different. I have western classical and Eastern European/Middle Eastern musical background. I don’t know that there was a single moment when we realized that we’d be in a band together; it was a more organic process of discovery. The first time we met we had a natural musical connection and that grew and intensified. There have been constant surprises regarding how we can work together, where we can go together musically and, even, how we can push each other to be better musicians. I have always loved singing live but I used to be petrified of playing keys live and now do it all the time. Jemal was the main person pushing me to get out of the studio and do it on the stage. How did you come up with you band name? Was it a difficult decision to make? JW: We started off performing just using our names as ‘Moksha Jemal’. In 2004 we decided to do a ’side project’ of Sufi inspired songs with our good friend singer/songwriter Linda Worster and a slew of other special guests. We ended up calling that project HuDost; which is a Turkish Sufi greeting that literally translates to meaning ‘the True Friend of the One (Sound or Being)’. People really loved that initial raw recording of songs and we just continued to call ourselves HuDost from there on out. Our 2nd album ’Seedling’ was in some ways our first as it really contained all of the first songs Moksha & I wrote together and were working on, but the Sufi inspired ‘In an Eastern Rose Garden’ was really what kicked it all off and got us rolling. JW: We have a few hometowns. We live out in the sticks in Butler County Kentucky about an hour and 15 minutes outside of Nashville, but Moksha is from Montreal and I grew up in Gainesville, Florida so I feel all of these places have influenced our sound and vibe. Growing up in the late ‘80s Gainesville noisy punk I still carry some of that feedback laden Sonic Youth vibe with me always. With this new album I feel we’re proudly wearing our influences on our sleeves. MS: The Montreal music scene is definitely diverse and exciting. Montreal has always been a place where being experimental, pushing the boundaries, and fusing styles and art forms together is widely practiced. I certainly carry that with me. My parents were/are both interdisciplinary artists–as am I–so I was given a broad perspective of the local music/art scene from an early age. It shaped my direction and I know that many of those influences have stayed with me. Let’s talk about your upcoming eighth full-length album, “Of Water + Mercy.” What was it like making this collection? Did anything surprise you about the overall process? JW: We had a slew of songs written and demoed and we liked all of them, so we had to cull this record down to ‘classic length’ of eight songs and 44 minutes. We do a lot of world music material, but really wanted this one to focus in on our songwriting and arrangement and to really show the full gamut of what we can do in that arena and I hope we achieved it. We have some amazing musicians joining us on this record as well including Dan Haseltine from Jars of Clay who helped us co-produce a bulk of the record. He also sings on a few songs and we co-wrote the song ‘Rise Together’ with him. We met Dan through our advocacy work with ONE. He runs an organization called Blood:Water that helps build clean water wells in Africa. Anyway, we were late-comers to Jars of Clay, but as soon as we met him a few years back we started listening backward through their catalog and instantly became fans. Their melodic song-craft is highly under-rated and under-appreciated by the masses. Charlie Lowell, the keyboardist from Jars of Clay, also adds a lot of amazing textures to the record. Stephen Mason from the band plays pedal-steal as well on a few songs and Matthew Odmark engineered. We also have maestro Matt Nelson (Jars of Clay/Raelyn/Amy Grant) who beautifully arranged & played strings along with his partner Avery Bright on three of the songs. Martha Mooke (Bowie/Iggy Pop/Streisand/Lou Reed) is featured on electric violin on the experimental track ‘Red Haired Son’. It’s a long list of amazing folks for sure. We have to mention our long-time bassist Dan Walters who’s the only other person besides Moksha and I to appear on every HuDost record! Our current drummer Chuck Mauk really played beautifully on this album as well…. just too many amazing folks to mention all at once! Surprising to me is that we have a few songs still that are completely done that we left off the record and they’re just as good! We didn’t leave them off because they were inferior; we just didn’t want a super long album and these eight songs really fit together. We’re excited about sharing this other material later in the year! 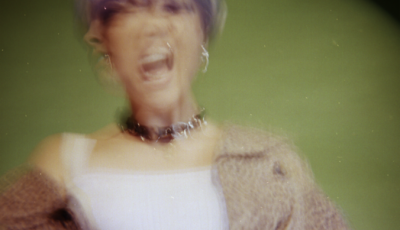 MS: I will just add that it is always exciting and a little scary to write a song and then witness it taking shape with all of the different elements one desires to include. Often, when I am writing a song I can actually hear the string section or pedal steel or keyboard lines in my mind in conjunction with the lyrics, melody, etc. It is rather astonishing when one can actually bring that vision into an externalized form. The musicians on this album gave life to these visions in a way that went above and beyond. I have a lot of gratitude for all of them. How would you say that your already released track “The River Lost” prepares listeners for the rest of your album? JW: ‘Rise Together’ (http://smarturl.it/risetogethersingle) was actually the leadoff single for the album, so I feel that’s really the one the ‘sets things up’ for the full release. ‘The River Lost’ is the calm ballad second single before the third one arrives called ‘Burning Church’ that’s a bit more edgy. The three collectively really represent the spectrum. While it’s difficult, can you pick out a few other favorite songs on this album and talk about their inspiration and how they came to be on this collection? JW: ‘Benevolence Day’ is probably my personal favorite, especially the end section with the three way vocal parts between Moksha, Dan and I, but really I love them all and that’s rare! I mean, I still love them all and the record is finished! Often, by the time a record is finally released after working on it for over a year and hearing it a million times, I never want to hear it again! But this one still fascinates me and I can’t wait to play these songs live at the festivals this summer! MS: I also love all the songs on this record. They all feel really solid, strong, and, simultaneously, vulnerable. In addition to what JW mentioned, the song ‘Arrhythmia’ means a lot to me. That is the one that I wrote about the passing of my father and JW’s brother. It has very real emotion in it and it was actually hard for me to sing for a while when we first wrote it. Really though, all of the songs on the record matter to me…I don’t know that I’ve been able to say that about past albums. Can you talk a bit about your ongoing battle with PledgeMusic? How did this all start? What is your hope for the future with them? JW: It’s extremely unfortunate because PledgeMusic’s massive mis-management screw-ups have violated the sacred trust built between musicians and fans. Many, many artists are being affected by this and it may create irreversible damage. We’ve vowed to fulfill our promises and pledges as we’ve had amazing support over the years, but I know some bands just aren’t able to. Many, like us, are going into debt deeper to make our projects happen. We all owe money to others as well for work that’s already been done because us and they were relying on the money that Pledge owes us. We nor our fans were investing in PledgeMusic. Anyway, on a positive note this situation has brought us into closer contact with many other artists who are banding together to speak out about what’s happening including Jesus Jones and Incendio. We’re even talking about doing some sort of project where we cover each other’s songs! God willing, we’ll all get paid but in the meantime, we’re trying to make lemonade out of the lemons dealt to us by Pledge. Honestly, there were many red flags before this thing got to the level it is at now. We had to struggle with PledgeMusic throughout our entire campaign to be given the things they promised and were often treated rudely. MS: I don’t think the severity of PledgeMusic’s criminal actions should be undermined. They definitely need to be made fully accountable for the terrible damage they have done to the careers of a large number of artists. We are sad to be in that group but have learned, if anything, the power of collective action and mutual support so are trying to proceed with that as our guiding principle. Benji Rogers was one of the founders of PledgeMusic. He left PledgeMusic a couple of years ago and it seems like it was after his departure that things really went downhill. PledgeMusic itself has not responded to any of our emails and are being horrifyingly disrespectful considering they have our money. In the last couple of months Benji has stepped in and is trying to get PledgeMusic sorted out so that the musicians can be given their money. He has been kind to us and is the only person from Pledge that has responded to questions or informed us of what is happening. JW: Yes, I believe that Benji has integrity and is really looking out for the artists here. I also believe that was his original intent when he started PledgeMusic. JW: I love–and need–both pretty equally. MS: For me it is a balance between the two. They are completely different. The only thing they have in common is the music. I consider myself to be an extroverted introvert. There is no way I could choose between the two forms. Writing and recording are such a powerful creative and discovery-based process. Performing is the powerful engagement with others—audience–and the magic that can happen when the music becomes externalized and participatory. How excited are you to be heading out on the road next month? What are some venues that you are particularly excited to play at? What do you think makes for an ideal show for this band? MS: We have a lot of wonderful dates on the horizon. We keep updating our web calendar as some of them are not yet announced. They will be a lot of fun! We will be doing some as a duo, some with guest artists, and some with the full band. JW: Yes indeed! I am really excited to be returning to my hometown of Gainesville and play the beautiful Hippodrome Theater. I am also really excited about returning to play BlissFest as it’s always super fun. The audience is always open and ready to dance and rock! MS: I just feel incredibly grateful to be able to survive doing what I love. It feels like a privilege to be told regularly by listeners and concert attendees that the music I am making is changing their lives in positive ways. Many people voice that what we do is healing for them. About five years ago I felt like I was going through a bit of a crisis. I felt like, even though I was giving all that I could musically that, perhaps, it was an indulgent way to live. I knew that I was giving and receiving emotionally and spiritually but didn’t know if that was making a real difference. That was when we decided to become seriously engaged activists with a non-profit where we could see strong and tactile results. For me, that cleared all of my self-doubt about my value as an artist. I felt like I could proceed knowing that my work could take different forms and have different results but that it would all be positive. JW: We aren’t afraid to speak out. The advocacy work we do is very much non-partisan and we work closely and harmoniously with good people on both sides of the aisle, but that doesn’t make us centrists. What’s going on with the current administration isn’t about right or left; it’s a whole deeper issue around basic morality. Entire groups of people are being painted with one broad negative brush stroke and dehumanized and it’s our job to call those injustices out. I hear a lot of fans who get angry at artists for speaking their views now and their response is often ‘just play your music. We don’t want to hear about your political views!’ I sorely disagree with that stance. Good art has always been about speaking the Truth. There are ways to do this and unify at the same time. U2 achieves this quite beautifully. MS: I agree completely. I grew up listening to Bob Dylan, Ani DiFranco, and other politically engaged songwriters. To me, music is one of the most tactile and powerful modes of expression that can actually convey a message that bypasses angry defenses and speaks to the heart. Our next single, ‘Burning Church,’ may push a few buttons. It is definitely not about burning churches but is about genuine and loving dialogue and the empowerment of women to be spiritual seekers without oppression. I did not write it from a place of defiance but from a place of respect seeking conversation. I am a super big fan of loving, gracious, powerful, kind men–including my homeboy, Jesus–but I have little patience for outdated and limiting doctrine. JW: We love to collaborate with people and have had such positive experiences doing this. Our next project is a collaborative interfaith album & documentary and so far, it’s been extremely creative and rewarding. Working with the guys from Jars of Clay was also quite fun. We co-wrote a song with Jon Anderson of YES and Steve Kilbey from The Church and that was an incredible experience. Jon is rare in that he’s actually as you’d expect him to be. He’s as cosmic as his lyrics! On the other hand, I’ve had the chance to work with a few of my other musical idols and ‘big names’ and at times have ended up being a little let down or disappointed after it. The results may have ended up great, but the experiences have often been a painful process, so I am more cautious now to say ’Oh I’d love to work with so & so someday.’ That being said, it’d still be fantastic to do something with Brian Eno! If he ended up being a jerk, I think I’d be prepared now to handle it at this point in life without it wrecking the ideals of my reality! As for favorite ‘newer’ artists, I really love everything about Arcade Fire. Bon Iver and Fleet Foxes are great too. I am pretty old school though and really like to explore an artist’s entire catalog. Recently I’ve been getting into Donny Hathaway, Todd Rundgren, Jefferson Airplane–all projects, Pearl Jam, Rotary Connection, Muddy Waters, The Pretenders, The Clash etc. Music is an endless obsession for me; a healthy addiction. The mainstays I always come back to are Prince, Kate Bush, Bowie, Queen, Tears for Fears, Petty…..it just goes on and on. As far as a ‘dream collaboration’, I always thought I’d end up doing something with Prince but obviously that didn’t happen. I really don’t know at this point. It’d be fun to write and do a record with Jeff Lynne. MS: My ultimate vision of an ideal collaboration would be more of a massive interdisciplinary production. For example, if I could work with Laurie Anderson, Janet Cardiff, George Bures Miller, Peter Schumann, and also involve dancers in order to create a huge performance that has everything from astonishing music to storytelling, large scale puppetry, interactive video and sound installation, and more, that would blow my mind and realize my dreams. I adore collaboration; especially when everyone involved is contributing different skills and perspectives. Right now we are working on a collaborative project with the visual artist Jana Harper and the New Dialect Dance Company (out of Nashville). It has already received an NEA Grant (that we are super excited about) and with this the plan is to do community-based workshopping, live performances, and installation-based exhibits. This piece addressed the holding of weight (in various forms) that we do through the course of our lives. It will include storytelling and will work with diverse groups of people. MS: I want to know who came up with the whole ‘desert island’ scenario and why humans have remained to fascinated by it. Ha ha…I think my concern might first be the source of my basic necessities and how to get off of the desert island. With that said, fortunately, my main musical item is one that goes everywhere with me: my voice. It is very lightweight, there is no additional charge for taking it on flights, and I never have to replace its strings–it does require a lot of love and care though. I think the second instrument I would bring would be my harmonium as it has a big sound for a small instrument. JW: I honestly don’t know. Would there be recording equipment too? MS: Our overall message has always been love. Without a doubt. Love is the thing that overcomes all else. It is the motivator, the healer and the guide. With that said, I can’t say that there is a single source of inspiration for the songs and lyrics–though I do sometimes feel that I’m tapping into a larger source that is bigger than me. As I mentioned previously, the political work that we do does keep us aware of issues, challenges, polarities, and triumphs that both consciously and unconsciously influence my/our writing. I also frequently seek to be someone who writes with open and broad terms that people can interpret in ways that matter to them. Some of the songs are blatantly obvious regarding what they are referencing and what has inspired us to write them. In my opinion, the strongest subjects to write about are the things I have discovered through my own journey. The vulnerability and unflinching love that I have come to know as a mother has changed my songwriting. 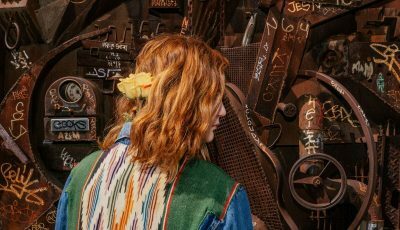 The wounding of losing family members, of going through a major health crisis, and the knowledge from being an activist are things that I have chosen to have as tools of empathy and re-empowerment through songwriting. My hope is that by using my own story it can help others feel the love that their message presents. JW: Just gratitude….and that there’s a lot more to come.